Defibtech Lifeline DCF-100 - AED, 5-year battery, one set of pads. This package includes a Lifeline AED, 5-year battery pack, one set of defibrillation electrodes, 9-volt status indicator battery, quick-use card and user manual. 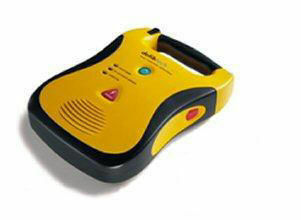 No other accessories are required to have a fully functional lifesaving AED. Warranty to include: 5 years on unit, 3 years on battery and 1 year on lithium battery.